Why It’s Important to “Mind Your Immune System” if You’re a Runner ! What better way to clear your mind than hitting the road or trail for a long run? Running is a magnificent stress reliever, thanks to the surge of endorphins you get on as you scamper along, and it’s just as healthy for your heart. Lacing up your running shoes regularly is a habit that can pay off long term with better health as some studies show runners live longer. Still, there are some issues to consider if you pound the pavement frequently. Long periods of exercise, especially intense exercise, places you at greater risk for colds and upper respiratory viruses, something you don’t need if you’re a dedicated runner. As healthful as long distance running is for the rest of your body, it can put a damper on your immune system. The good news is moderate amounts of physical activity appears to modestly reduce the risk of illness, assuming you’re doing everything else right like getting enough sleep and eating a healthy diet, but if you’re training relatively hard or long, the opposite holds true. The ultimate goal of some runners is to complete a marathon or other difficult race. 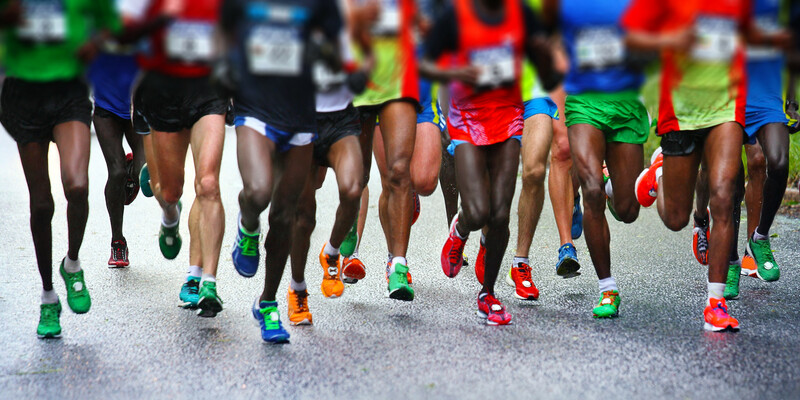 It feels pretty good to have a marathon under your belt, but marathon running takes a lot of training and places your body under a considerable amount of stress – stress that can lead to illness. One study that followed marathon runners after the big event found marathoners were more likely to come down with a cold or upper respiratory infection the week after a marathon. The same would apply to long periods of training leading up to a race. The stress of long distance running seems to mainly impact the innate component of the immune system, the first line of defense against pathogenic microorganisms like respiratory viruses. Cells that are trained to fight off viruses, including phagocytes and natural killer cells, can’t do their job as well when stressed by long or intense periods of exercise. Another study found a decrease in the ratio of T helper cells to T suppressor cells proportional to increases in exercise intensity or volume. T helper cells are vital for activating immune cells to fight off infection, while T suppressor cells turn off the immune response to prevent tissue damage, so a lower T helper to T suppressor ratio is unfavorable for keeping upper respiratory illnesses at bay. Other research shows that 90 or more minutes of vigorous endurance exercise, like running, increases the risk for illness for up to 3 days afterwards. Why does running long distances or exercising hard in preparation for a race lead to immune suppression? Partially because stress boosts levels of a hormone produced by the adrenal glands, called cortisol, a known immune suppressor. We’ve focused mainly on running long distances as a risk factor for colds, but any form of relatively intense, frequent exercise can outstrip your immune system’s ability to ward off a virus. Don’t stop exercising, but if you’re overtraining to the point you feel wiped out during or after running or exercise sessions, cut back. Just as importantly, make sure you’re giving your immune system the support it needs to fight off those ghastly upper respiratory viruses. Ensure that you’re taking in enough “fuel” in the form of whole foods rather than “empty” calories and racking up at least 7 hours of sleep a night. If you’re a dedicated runner, think about giving yourself the added protection an immune supplement offers. There is simply no better immune boosting supplement available for the athlete or anyone for that matter. You see BioPro-Plus™, is the same bio-identical protein your thymus gland produces in your body until you reach the age of 40 or so. This protein supercharges your immune system so you can fight off any disease or pathogen that may enter your body. Get Your BioPro-Plus™ Here Today! Running is good for your health, but make sure you stay healthy doing it.